Are you tired of looking at the same boring light fixture day after day? Is it time to make a change? Why not replace that old fixture with a new, aesthetically appealing light fixture or even a ceiling fan? But before you climb that ladder and get to work, take a deep breath and think about what you are doing. Do you have the knowledge and experience necessary to perform such electrical work? Many people are under the assumption that they can just remove a light fixture and replace it with a ceiling fan or heavy light fixture. This, however, is typically not the case. The existing plastic or metal outlet box is probably not rated to hold the additional weight of your new fan or light fixture. “These boxes are only rated to hang the weight of a standard light fixture and are not the type of supported outlet box that is mandatory per the national electrical code for this type of installation,” said TriStar Electric owner Dave Crawford. 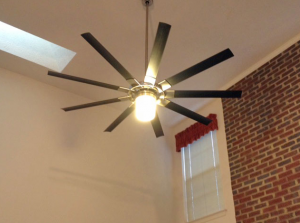 Trying to install a ceiling fan or heavy light fixture into a box not rated for the excess weight of a new fixture could result in injury, property damages, and electrical hazards. “We have seen time and time again where people will remove a standard light fixture and install a heavy ceiling fan in its place on the existing plastic or metal box,” said Crawford. A ceiling fan is not only heavier, but also has moving components, with blades spinning like an airplane propeller. This puts even more stress on the outlet box and thus requires additional support. For these reasons, ceiling fans should only be hung by a qualified and experienced electrician. In most of these cases, it is not the ceiling fan causing the problem. Instead, it is most always an installation issue or a non-supported light box causing the problems. This is why you should contact TriStar Electric and get our FREE professional opinion and advice before any installation. TriStar Electric’s team of professionals can take care of small electrical jobs around your home, such as hanging heavy light fixtures and ceiling fans. 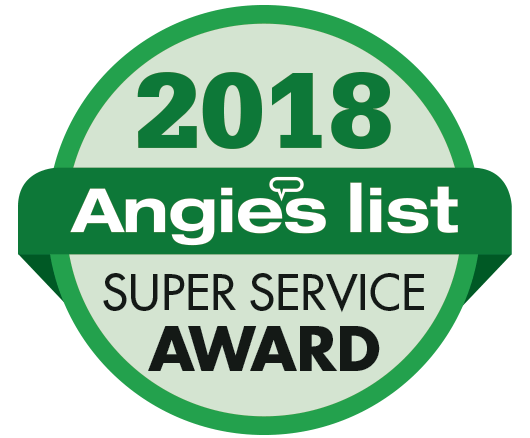 Even though it might seem like a small job, our employees take the same amount of time and professional approach as they would if they were rewiring your entire home. If you have any questions about Having an Electrician install Ceiling Fans and Heavy Light Fixtures, please contact TriStar Electric, Maryland’s premier residential and commercial electrician, by calling 410-799-5791 or 301-384-8880 or fill out the contact form on our website. You can also follow TriStar Electric on Facebook, Twitter, Google+, LinkedIn, Pinterest, and YouTube. This entry was posted on Thursday, December 5th, 2013 at 4:11 pm. Both comments and pings are currently closed.